Confined with other children in classrooms, gyms and school buses, children pick up colds throughout the year. Good nutrition, plenty of rest and proper immune boosting supplements do help, but cold and flu germs seem to thrive in their environment. All it takes is a contagious sneeze or cough and your child becomes susceptible. 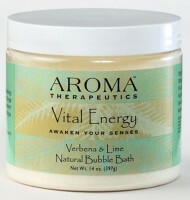 When your little one come home achy and with the sniffles, help relieve their physical discomfort in a bath full of soothing Aromasaurus Bubbles. Therapeutic Effect: Aromasaurus Cold and Flu with its special blend of soothing organic herbs and essentials oils, therapeutics minerals and Vitamin E is the safe, natural way to help your child overcome many of the physical discomforts brought on by a cold or flu. 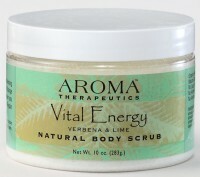 Click the button below to add the Aromasaurus COLD & FLU - Eucalyptus/Peppermint/Lemon/Echinacea to your wish list.